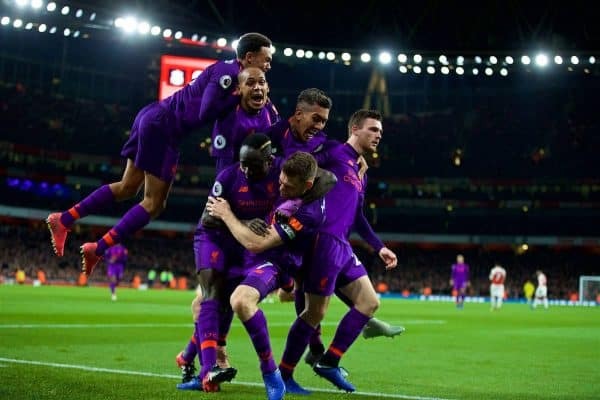 Liverpool dropped points to their Premier League title rivals once again this season as they were held to a tough 1-1 draw with Arsenal on Saturday evening. A relative reprieve of comfortable fixtures ended for Liverpool on Saturday, making way for a tough trip to the capital to take on Arsenal. With the Gunners enjoying an excellent start to life under Unai Emery, victory over the new-look hosts was imperative as the Reds looked to keep up with Man City at the top. Jurgen Klopp made three changes to his side from the 4-1 win over Cardiff City, with Joe Gomez, Andy Robertson and James Milner taking over from Dejan Lovren, Alberto Moreno and Adam Lallana. With Emery roaring them on from the touchline, Arsenal posed a considerable test for Liverpool, and it ultimately led to a share of the points. In a raucous atmosphere at the Emirates, Arsenal began the game on top, with Pierre-Emerick Aubameyang proving particularly troubling up against Trent Alexander-Arnold. The Reds had the ball in the back of the net on 18 minutes after a great ball from the right-back, however, but Sadio Mane was flagged for offside after Roberto Firmino‘s dink came back off the upright. 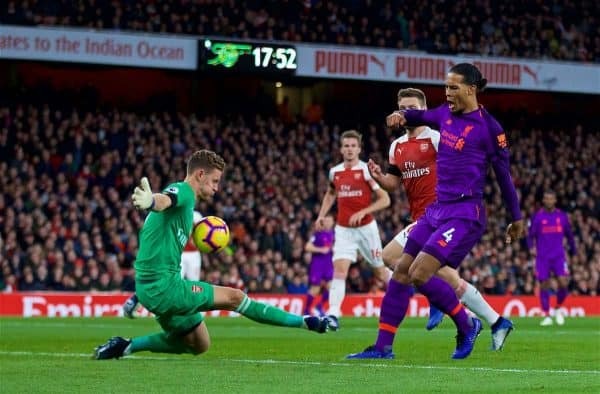 Virgil van Dijk almost netted after Mohamed Salah‘s raking pass into the box, but a great save from Bernd Leno denied the Dutchman his first Premier League goal. Alexandre Lacazette flashed a powerful low effort just wide as the Reds’ defence struggled for stability, and the Frenchman then beat Alisson from close range only for Shkodran Mustafi to be waved offside in the buildup. With Liverpool given a free-kick at the end of the half, Van Dijk hit the post as he nodded on James Milner‘s delivery, with another strange refereeing call ignoring a foul from Leno. Responding to a difficult half, Klopp changed his system at the break, moving to a 4-2-3-1 with Milner out wide on the right and Salah up front ahead of Firmino. 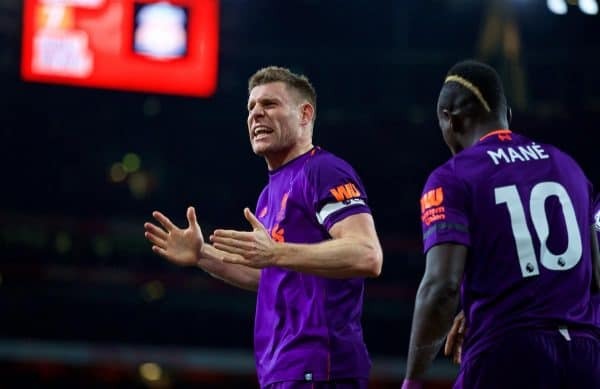 After a frenetic start to the second 45 in which Arsenal created a host of openings, it was Klopp’s wingers who broke the deadlock, with Mane’s cross palmed out to Milner to drive home low and hard. Mane went close to adding a second after Firmino’s brilliant pass released Salah, but he wasn’t able to meet the Egyptian’s ball across, before Firmino headed just wide from a corner. A period of sustained pressure followed for Liverpool, with Leno forced to tip Van Dijk’s header over the bar from another corner, and Klopp looked to heap in on further as he sent on Xherdan Shaqiri. But it was Arsenal who struck last, with Lacazette curling home brilliantly with Alisson marooned away from his near post in a bitter blow for the Reds.